This 500GB Extrernal Hard Drive is quite possibly the largest collection of Old Time Radio programs on the internet today. These programs are in the MP3 format and will be delivered to you on a 500GB External Portable Hard Drive. 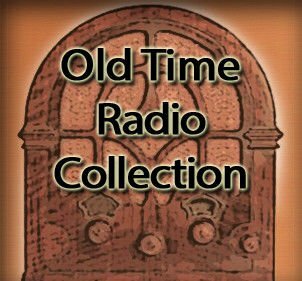 All of the MP3 Old Time Radio programs in this collection are contained in a folder with other programs that are from the same series. Then, the programs within each of the series are sorted by the air date along with each filename including the episode's official title. The hard drive is very simple to use! All you have to do is simply connect the external hard drive to any USB port on your computer and use your PC to play the episodes that you want to listen to, or you can copy your favorites onto your iPod or other MP3 player and enjoy your favorite Old Time Radio episodes whenever your away from a computer, working out, taking a walk, etc.. You can also even create audio CDs fromt he files as long as your computer can burn CDs. This hard drive does require a modern Windows operating system, such as Windows XP, Windows Vista, Windows 7, Windows 8. There are more than 2,000 program series in this collection on the hard drive, way more than can be listed on this page. The programs listed below are simply included to give you an idea of the huge number of programs within the collection on the drive. Please Note: The Hard Drive that is pictured is not necessarily the brand or like the one that you may receive. It is only representative of the one you are likely to receive. You will receive one of the hard drive that we currently have in stock which vary by brand and design.